Do you have moments when you just want to declutter your life and start with a new you? I know I have and that goes for my wardrobe to my diet. For the longest time I had a wardrobe that's just full of plain and understated garments. I wasn't very experimental with clothes so I was too afraid to mix and match patterns. But as I grew older I discovered more about myself and started to play around with outfits; picked out pieces that are more chic and stylish. As for my diet, it's such a whirlwind. I wasn't really fat but I knew I could look better. Eating anything that's carbs is my weakness. From breads, biscuits to dessert you name it. It's just so hard not to eat that one last cookie. I've been there and went up and down the scale but one day it just hits me, I can't do it anymore. I had to stop and completely change how I approach things, so I did. Now I'm on a well-balanced diet and try to exercise ever so often. I went from 55kg to 47 kg, now that is something. It took time but it was worth it. I feel like a new person. Whatever it is that you want to rid off in life, remember that it's all about you. It's about being better and becoming the person you never thought you can possibly be. Don't base your decisions on other people because at the end of the day, you know what's best for yourself. Starting anew brings a light and refreshing feeling. So don't be afraid, take the chance and become a new you. Introducing NEW U by Kotex® Sleek* Tampons with PerfectTouch* Grip for "just right" placement, a smooth tip for easy insertion, and a slim size for your comfort. Learn more here. Serious protection is now seriously flexible. NEW U by Kotex® CleanWear® Pads feature a MemoryFlex* core that moves with your body, and they've got you covered with an ultra-flexible 4-layer absorbency system. Plus, wings help prevent bunching and scrunching. Learn more here. Click here to learn more about the first-ever College Fashion Week presented by Her Campus, and sponsored by U by Kotex®. Remember those caramel coated apples that you used to eat as a kid? How about home cooked pancakes that mom used to make during the weekends? Surely remembered mine and I had great memories with it. Now that I live far away from home and the weather is starting to change, it's nice to see how far I've come. 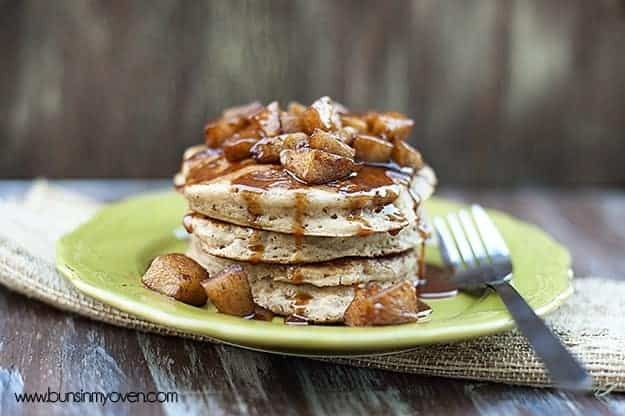 Fall is here and apples are abundant everywhere, why not whipped something up that reminds of you the good old days; caramel apple pancakes perhaps? This recipe from Buns In My Oven is simply amazing. 1. Combine the flour, sugar, cinnamon, nutmeg, baking powder, baking soda, and salt in a large mixing bowl. 2. In a small bowl, mix together the buttermilk, vanilla, egg, and melted butter until well combined. 3. Pour the wet ingredients into the dry and whisk together until most of the lumps are gone. Do not over mix. 3. Heat a large skillet over medium heat and spray with cooking spray. 4. Pour 1/4 cup of batter into the skillet and cook until bubbles form on the surface. Flip the pancake and cook until browned on the bottom and the center is done. 1. While the pancakes are cooking, set a small skillet over medium-low heat. Add the butter to the skillet and melt. 2. Stir in the brown sugar, cinnamon, and salt to combine. 3. Add the apples and stir to coat. 4. Cook for 5-7 minutes or until tender, stirring occasionally. 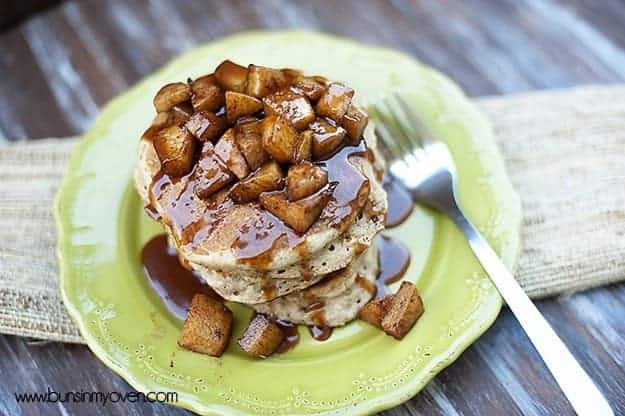 Top the pancakes with the warm apples and drizzle the warmed caramel sauce on top. Nothing gets me more excited than getting a new bottle of nail polish. I know I know, I have a lot of it. It's kind of an addiction much like how I am now with accessories. I just love trying on new colours and how I'd match my outfit with it. Red is a no brainer. 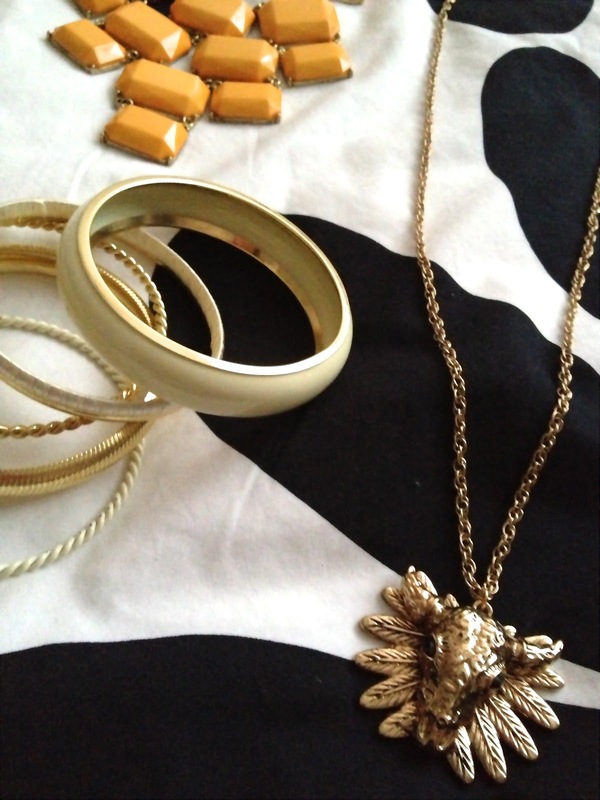 It can easily bring your whole outfit to life with minimal accessories. But it's instead of wearing brights try something sparkly this season. Play around with new finishes. I confess, I would usually stay away from those but I think it's time to be more experimental and just have fun with it. One thing I love about fashion is that you can play around with your looks and you can care less about what other thinks. It's all about being true to your personal style yet at the same time, having courage to experiment items in your closet that some may deemed unusual. I think that's the fun part and I like getting inspiration from street styles because they are real unlike fashion editorials spreads we usually see on pages of magazine. I don't know about you but I admire girls that are so high up their alley. Like they always look good and are in the know about everything. They are go-getters and are living the life they wanted. I aspire to be that girl but I guess I set my standards too high that it has become a challenge. Like for me thin is weighing less than a 100 pounds, a successful career is being a director of a fashion brand, a luxurious life is living in a posh east side condominium (hopefully next year) with a closet filled with beautiful designer clothes and shoes. I want all that and more. It may sound so ambitious or materialistic but don't we all have that somewhere inside of us? Like we'd totally sing Fergie's g-l-a-m-o-r-o-u-s song for all we care. It's the high life and I admit I want that. I'm slowly working on it; doing all kinds of diets, incorporating workouts into my lifestyle, investing on quality pieces - my first Ferragamo flats and some other designer bags that I own and treasure - and trips (london is love), reading my daily dose of advertising and fashion news before going to work, indulging in fine cuisines - French is my absolute favorite, and for someone to tell me "You're 24 and fabulous" only means I must be doing something right. What I'm trying to say here is stop dreaming and start doing. If you want to jetset ala Paris Hilton, go! If you want to look like Victoria Beckham then please do so. Because nothing is more fulfilling that being able to be the person you've always wanted to be. Besides we only have one life so make the best of it. With all the good number of vintage shops, stores and markets in London, I knew right away that I have to bring home some unique jewelries. Most of them I stumbled by accident and some I delibrately try to find. I was hoping to buy a lot more but there's just so much pieces that I personally liked and knew would work in my closet. Can you tell which one is vintage? Among all of these, there's only one and that is the gold earring with creme ceramic stone. It's from the 60's and I got this at Portobello Market. The rest are all random stuff I picked up from Primark, Zara and Mango. If you like some of these pieces, you can click on the link below to buy something similar. They say when you travel to another country, it opens your eyes to a whole new perspective. I always knew about it but never thought how after a week long vacation in London would actually change the way I look at things and how I want to begin living differently... to begin living more in tune with who I want to be and how I want my life to proceed each and every day. London is beautiful, so beautiful that I want to see more of Europe. It's so surreal, breathtaking and magical that after seeing all the gorgeous facades, people and learning about British culture, I felt like this is me; a girl who likes nice things, enjoys her morning toast and coffee, loves the adrenaline rush of a city life and a girl who treats herself to a piece of truffle or macaron every once in a while. I think it's important to just listen to yourself and really know exactly who you are and what your aspirations are in life. It's not about being high maintenance or anything but it's more of being true to yourself and start living the person you truly are meant to be. I'm always on a look out for new trends to try every season and with New York Fashion Week Spring 2013 recently capped off, there's so much outfit inspiration to choose from. It gives me ideas on what to fill my closet with. I'm now learning to be more experimental with prints. I used to shy away from it because I always think you need a good number of basics to pair it with; not necessarily. 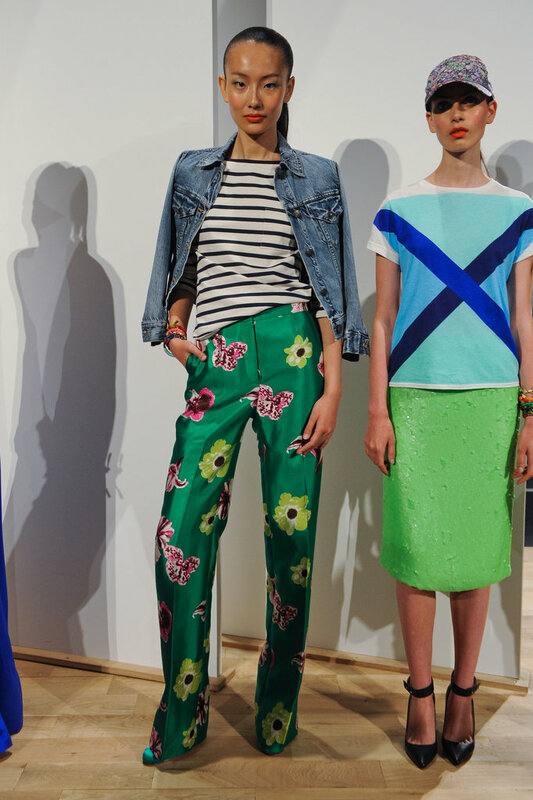 Just take a look at J Crew's playful mixed of print. Surely we've seen it a million times but how about matching cotton with silk? Not something I would think off but hey it worked. So if you're looking for inspirations this upcoming season, why not take a look at my favorites? Let me know which one you like best. Fall is here in a few days but don't abandon navy and stripes just yet. Sure it looks very nautical but isn't that what we love about summer; cruising in the sun with all it's glory? What I do like about this look is the mixture of soft fabric with tailored high waisted pants, leopard sunglasses and a pop of red nails. It just looked polished and perfect for a day out in the sun. It's been a week since I came back from London and I can still remember the feeling I had when I first got there; it was surreal and magical. The feeling of having one of my dreams come true is just unbelievable. The first few days in London was tremendously cold but the sun finally gave it's warmth days after, perfect for endless siteseeing. As you can see I took a good number of shots from my trip. The iconic Big Ben in Westminster after a stroll in Oxford Street. The structure was just massive and seeing it up close is breathtaking. Westminster Abbey is just beside Old Parliament House. It was closed the night we visited so we opted to go back the next morning. But before we ended the night, we walked along London Bridge and had a glass of wine in a lovely bistro. The sun was out and a tour inside Westminster Abbey is a must. It's so magnificent and full of history that I was just in awe with everything I see. The highlight? Seeing the tomb of Queen Elizabeth I.
Infamous Laduree macaroon that I was so eager to try. It's as good as everyone claim it to be. Having breakfast in The Breakfast Club in Soho. The portions are huge! We're lucky to get a table as the queue can get really long. Went to Victoria station for our 3 hour bus ride to Cardiff, Wales. Standing in the middle of amphitheater in Wales. Went up the tower inside this castle and the view is just breathtaking. St. Paul's Cathedral is such a beauty. I couldn't pass it up as this is where the Princess Diana and Prince Charles got married. I want be in it and feel the history. Colorful facades are insight while walking along Portobello Market. We went there for some good vintage finds. I only manage to get a lovely pair of earrings but it was nice to see a different side of London. Pancakes for breakfast is always a good idea before going to the Arsenal Stadium. Fish and Chips at it's best. You cannot not eat this traditional British food in London. The Tower Bridge with paralympics logo. Beside it is the Tower of London but we didn't go inside as the sun was scorching and I can barely walk. The trip isn't complete without a visit to Buckingham Palace. We went there in the afternoon and the weather is just perfect. Beside it is the Green Park. We had gelato and just took a moment of silence to just feel everything surrounding us. Last night in London. Picadilly Circus is always full of crowd and this is where all the theaters and performances are insight. I remember going home after a long day and feathers are just flying everywhere. It's just shows how fun and playful this place can be. A view of Soho inside Cote Brasserie while having french toast and a cup of latte. Oh London, you have been good to me. I'll see you in another time. That moment when you slowly held my hand for the first time. New York Fashion Week Spring 2013 finally kicks off and I'm loving the recent collection of Badgley Mischka. I'm all about feminine flair, lace and romantic silhouettes so there's no doubt that I'm head over heals with this collection. From gowns to casual wear, the designer did it well by combining hard and soft elements into it's pieces. I'm dying for these. Need a pair of eyewear that is stylish and affordable? Why not check out Firmoo? With over 300 styles of affordable and stylish frames for you to choose from, you will never run out of options to match your different clothes and moods everyday. I recently got this free pair and I think it was alright. For the price, the quality isn't so bad at all. Nonetheless, it's an affordable pair that you can use anywhere. They launched a program offering free eyewear for first-time buyers. This is good for you to try the quality first before deciding to buy some more. So why not take this opportunity? You'll be glad you did. Hey ladies! I just got back from my London trip and I got lots of new stuff to share with you. It's going to be an exciting series of post so watch out for that. But first of all, the Essie nail polishes. I got them in a mix of nudes, pastels and a red, a favorite of course. I was really excited when I saw a rack full of these because from where I live, they don't sell it and I have to scout for a local seller that imports these so yea it's pretty difficult. But I'm glad I got a bunch of beautiful shades that I could wear throughout the season. I know it's fall but you can never go wrong wearing some neutrals and reds. The colours I got are turquoise & caicos, not just a pretty face, flawless, fifth avenue and sand tropez.